VQ Lark and Pure Siesta Charge alarm clock radios tested: which are the best? 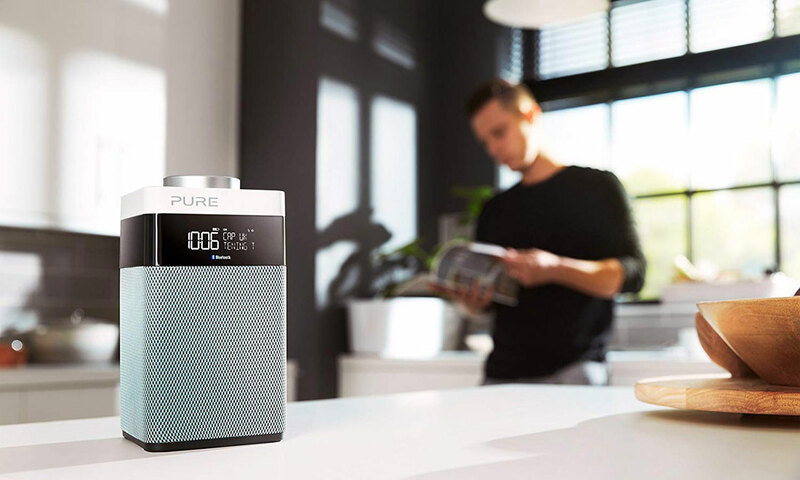 Two of the biggest radio brands, Pure and VQ, have launched alarm clock radios just in time for Christmas, aiming to get you to start the new year with the perfect wake-up companion. We see whether they are radios you can depend on, or will make your morning a struggle. We also review the cheapest internet radio we’ve tested at only £70 and even more new models from Pure. 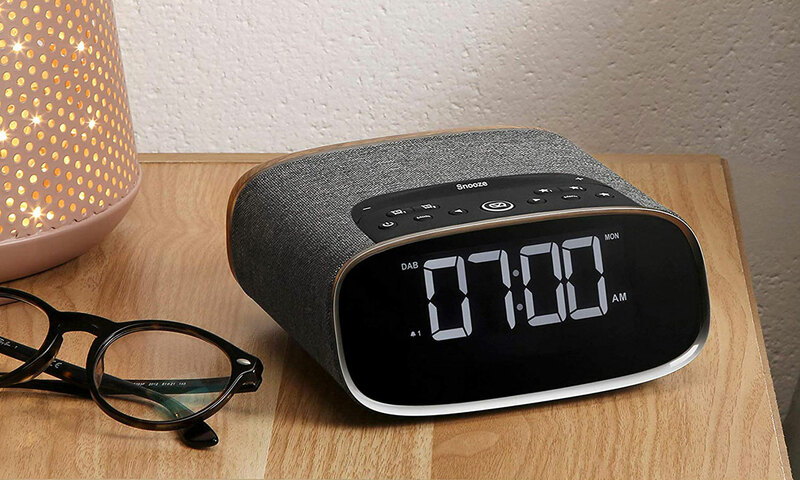 The perfect alarm clock radio will wake you up in a pleasant way even if you’re a heavy sleeper or had a late night before, and be easy to use even through the grogginess. The display should be easy to read, even without your glasses. We have found models with poor maximum volume you could sleep through, ones with hard-to-read screens, fiddly buttons and horribly tinny sound that will have you reaching for your earplugs. 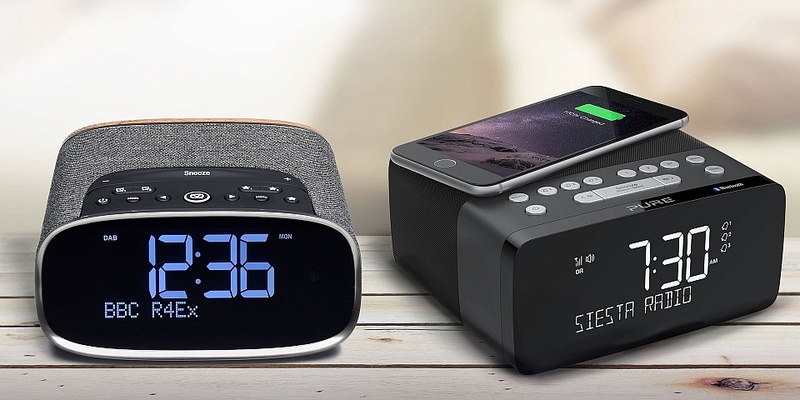 VQ aims to come to the rescue with its new alarm clock radio, the VQ Lark, with a Scandinavian-style fabric finish and two useful USB sockets for both you and your partner to charge your smartphones. And it all comes in at a competitive price. Pure takes charging to another level with the Siesta Charge, which features the newfangled tech of a wireless charging pad, which you can use to charge Qi-enabled smartphones without even having to plug them in. Currys PC World own-brand JVC also comes to the rescue for those longing for a cheaper internet radio, when most cost more than £100. And for those looking for a compact tabletop radio with a sense of style, we’ve reviewed the Pure Pop Midi S and its stereo sister, the Pure Pop Maxi S.
Best Buy radios – head straight to our full list of the very best. 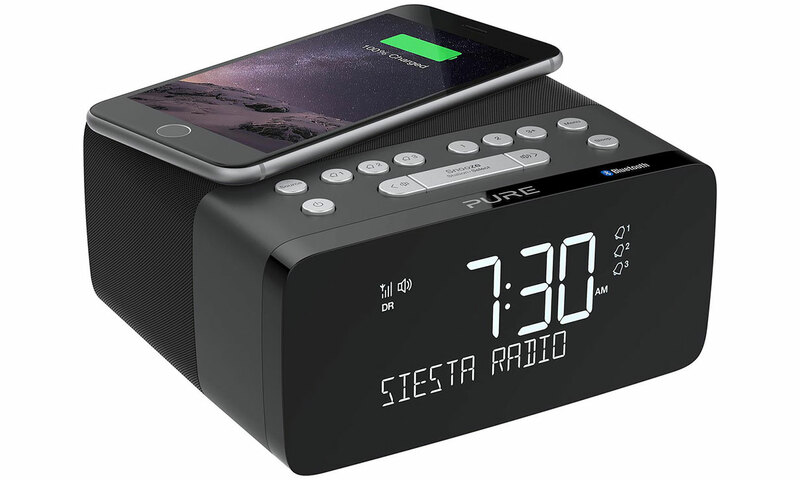 In the past, if you were looking for this style of alarm clock radio, you’d likely go for one of Pure’s Siesta radio range such as the Pure Siesta Rise or Pure Siesta S6 – with little choice besides. But the VQ Lark brings you a great alternative. It aims to be the perfect complement to your décor with its real fabric surround. It has two direct access numbered preset buttons (unlike the Siesta Rise) and the aforementioned Siesta radios only have one charging socket for your devices compared to two on the Lark. Plus it sets itself apart with stereo sound and a slightly angled front display that makes it easier to read when standing. But is the sound quality up to scratch? Find out whether this is the ideal alarm clock radio for you in our expert VQ Lark review. Radios aren’t generally known for the latest cutting-edge tech, and so by most radio standards the Siesta Charge seems positively extra-terrestrial. It combines the hit formula of Pure’s Siesta radios range, with its full-front wide-angle screen, compact form and good-sized buttons with the very latest wireless charging tech for compatible smartphones. Simply place your smartphone on the top of the Pure Siesta Charge to charge it – without needing to plug it in or find the charging cable. For this to work you need to have a Qi-enabled smartphone (such as the iPhone 8 and Samsung Galaxy S6 or above). Other devices can also be charged via the USB socket as well. But all this technical wizardry won’t get it past our discerning listening panel if the sound quality is not up to snuff in our definitive Pure Siesta Charge review. Internet radios often come at a heavy premium, typically costing a lot more than £100. 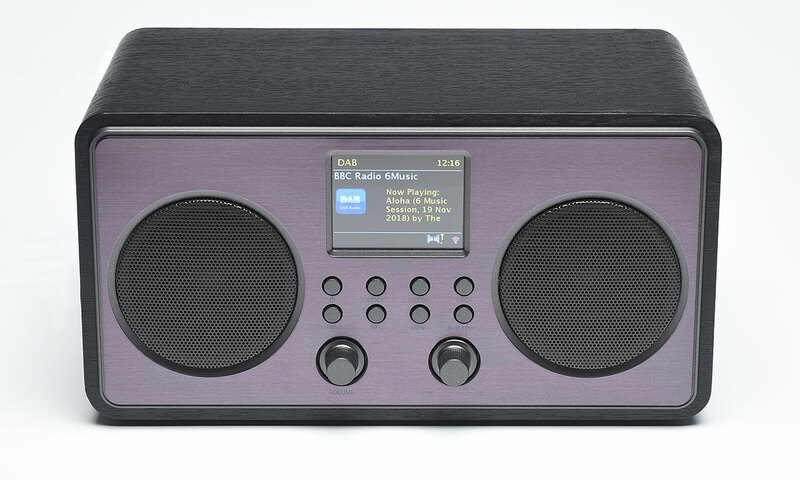 Currys PC World aims to provide a solution with the JVC RA-D58 internet radio, which has all the full functionality of an internet radio and plenty of features to boot. There are 30 presets to save your favourite stations, Bluetooth, dual independent alarms, a 3.5mm socket for wired connections, and even a USB socket to charge your smartphone or plug in a USB stick. What’s more, it has stereo sound and you can operate it from afar via the UNDOK app on your smartphone. So is this the internet radio bargain you’ve been waiting for, or does it fall on its sword? Our experts put it through rigorous tests in our comprehensive JVC RA-D58 review. 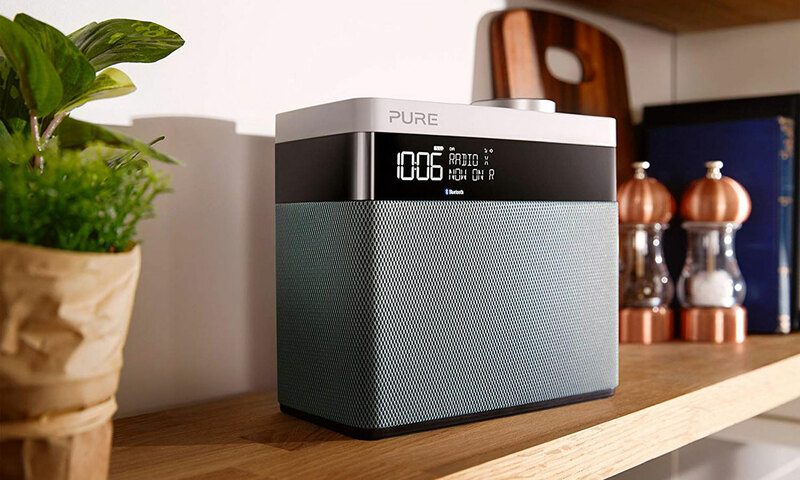 If you’re looking for a smart and modern-looking tabletop radio, the Pure Pop Midi S might have caught your eye. You can even turn it into a portable radio if you buy a separate battery pack (for around £25), which promises 24 hours of battery life. It has dual independent alarms and a conveniently large dial volume control on the top, plus Bluetooth which you can use to access internet radio, podcasts and audiobooks from your smartphone. See whether this radio is a dream to use with sound to match in our Pure Pop Midi S review. Looking much like a stretched version of its counterpart, the Pure Pop Maxi S is effectively a stereo version of the Pure Pop Midi S, packing dual speakers into its larger dimensions. Like the Pure Pop Midi S, it’s available in three eye-catching colours: navy, mint and gold, with the same great rotary dial to adjust the volume on the top. The larger design also offers the potential for a more powerful bass to deliver more punch and excitement to pop and rock music, and more warmth to speech and orchestra. Is this the smart radio to choice? We reveal all in our conclusive Pure Pop Maxi S review.